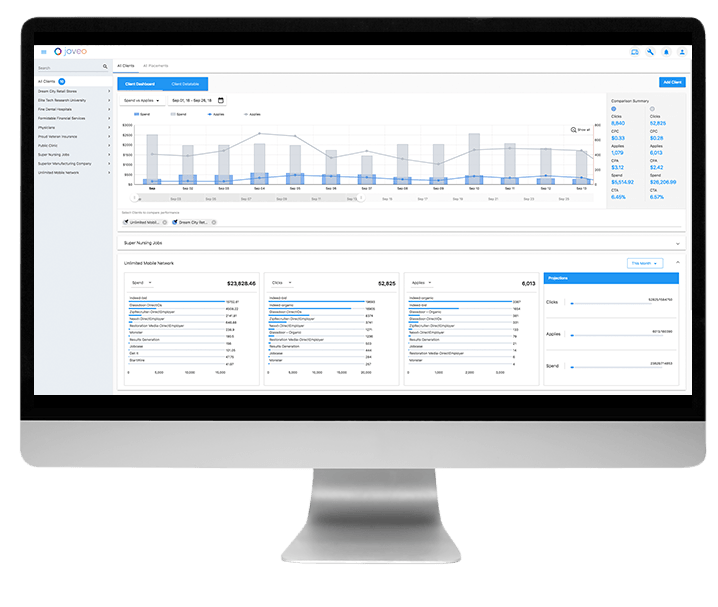 Reduce complexity by managing campaigns, clients, publishers and analytics in one UI. Establish your business goals, then let Joveo deliver results with proactive monitoring and analytics. Leverage the Joveo Exchange, a network of over 1,000 job, social, lifestyle and professional sites, as well as search. We have a solution that meets your business goals and needs.